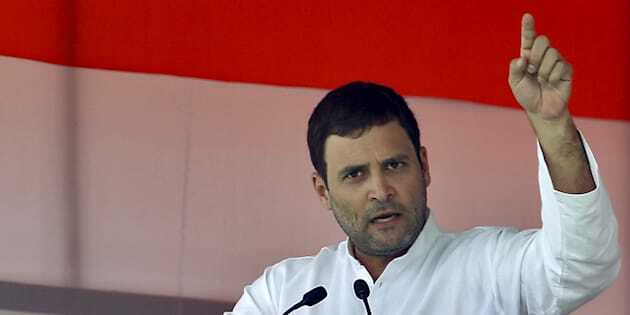 New Delhi — Congress Vice President Rahul Gandhi on Saturday took a dig at Prime Minister Narendra Modi over the BJP’s demand for removal of dialogues critical of the GST in Tamil movie Mersal, asking him not to “demon-etise Tamil pride” by such interference. “Mr. Modi, Cinema is a deep expression of Tamil culture and language. Don’t try to demon-etise Tamil pride by interfering in Mersal,” Gandhi said in a tweet. Gandhi’s counter-attack came after Tamil actor Vijay’s Diwali release Mersal came under attack from BJP leaders in Tamil Nadu, one of whom also sought to give a communal twist by raking up the actor’s religion. The actor has been panned for his dialogues in the film that takes a dig at GST and Digital India. Vijay, who had met Narendra Modi during electioneering ahead of the 2014 Lok Sabha elections, had even lauded demonetisation last year. BJP’s National Secretary H Raja in a tweet on Friday raked up the actor’s Christian origins. Raja even said Mersal shows Vijay’s ignorance in economic matters as the Goods and Services Tax (GST) is not a new tax and the tax on liquor is over 58%. Earlier on Saturday, senior Congress leader P Chidambaram also attacked the BJP over its demand for removal of dialogues critical of GST in Mersal. “Notice to film makers: Law is coming, you can only make documentaries praising government’s policies,” Chidambaram tweeted.